The oldest Bibi Fleet photo known. 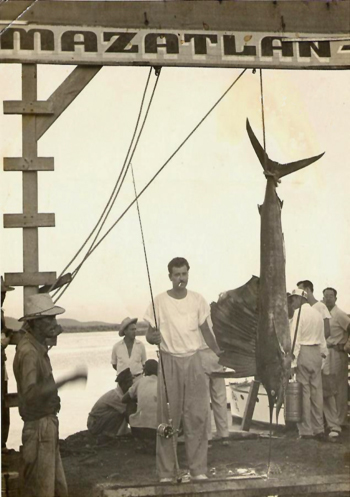 Sailfish caught with light rod (circa 1950). 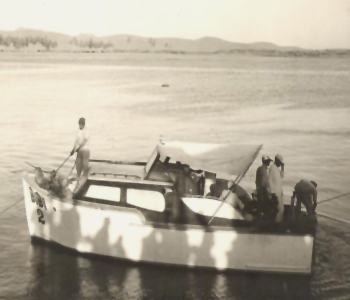 The "Bibi 2" (circa 1950). 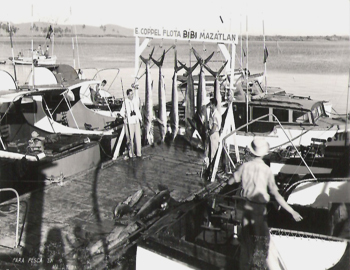 A great day for Striped Marlin (1955). A great fishing day! (1957). 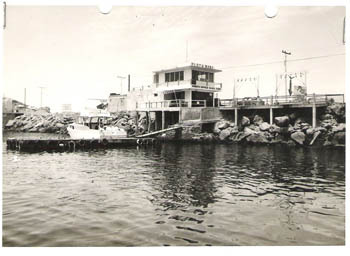 The Bibi Fleet dock until 2010 (circa 1965). Ernesto Coppel’s business card (1967). 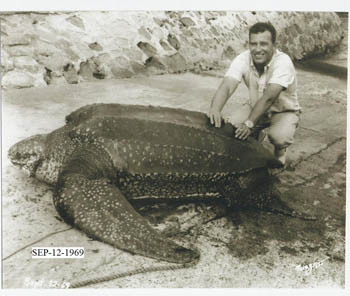 South American Galapagos Turtles showed up in Mazatlan in 1969. 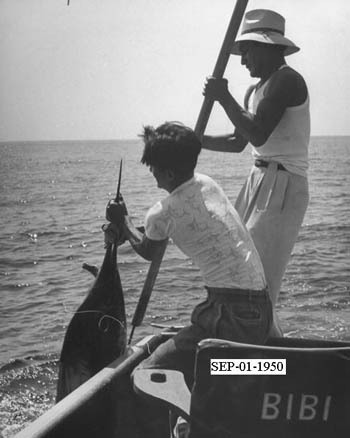 In this photo, Ernesto Coppel Sr. holding the unusual visitor before releasing it.